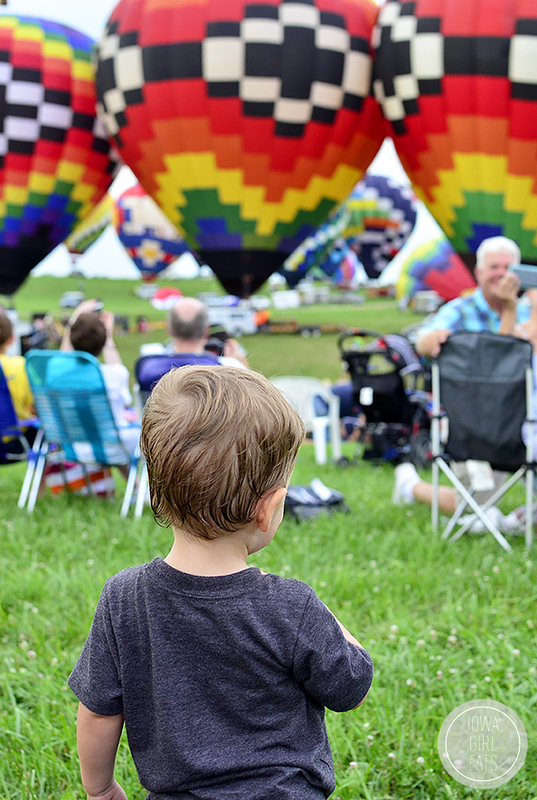 This weekend Ben and I took Lincoln to see his first hot air balloon at the National Balloon Classic! 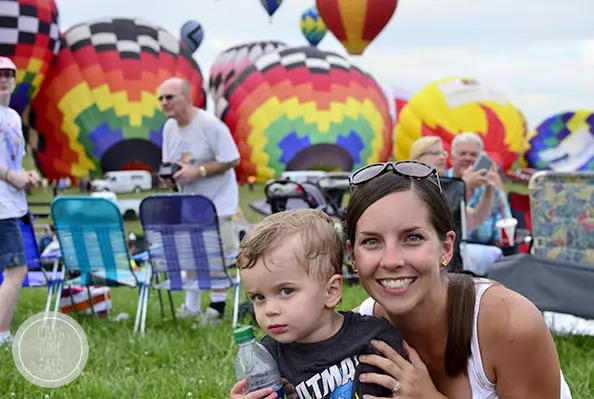 Neighboring Indianola, IA has had a hot air balloon festival for years now and it’s one of my favorite events of the summer. If you’re a long time reader than you may remember that my Mom and I took a ride in 2010, and just thinking about the experience still gets me excited. 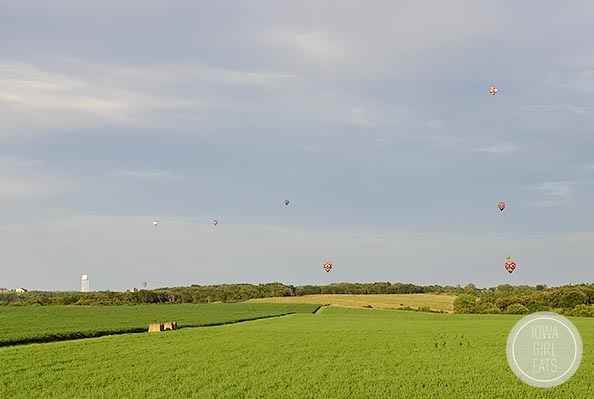 There’s nothing like soaring over Iowa’s beautiful countryside from 5,000 feet. Obligatory bad pic with Mom! Since there were a few storms in the area the balloons didn’t end up taking off for their evening flight until 7:30pm or so, but it was well worth the wait. Until next year, Indianola! Er…24 hours later. Last night we headed to Summerset Winery, just down the road from the festival, for live music and vino, and took our dinners with us. California Turkey and Bacon Lettuce Wraps with Basil-Mayo, which were the perfect light and summery meal to eat in this heat! Crunchy lettuce leaves replace flour tortillas in this easy lunch, dinner, or hearty snack recipe, which are layered with deli turkey, a 30-second fresh Basil-Mayo, cooked bacon, and thinly sliced avocado and Roma tomatoes, then rolled and sliced. These lettuce wraps are cool, fresh and made extra special by the California-inspired combo of sliced avocado and Basil-Mayo in the mix. The flavors are AH-mazing! The original intent for this recipe was to create an amped up BLT, which I guess it still is, but I think this lettuce wrap with turkey and bacon can stand on its own. 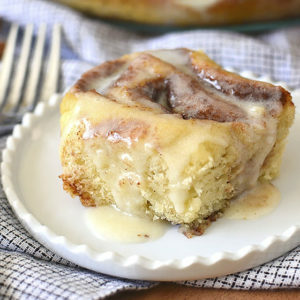 Trust me – take a bite and I promise you’ll be making it over and over again. Next microwave 4 slices of bacon. Yes I said microwave. When it’s this hot out the microwave is my go to bacon browner. 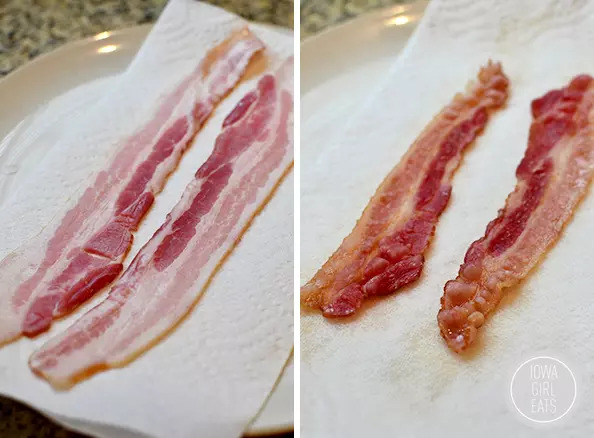 Layer the bacon on paper towels, cover with another layer of paper towels, then cook for 1-2 minutes. Easy! Time to assemble the lettuce wraps! 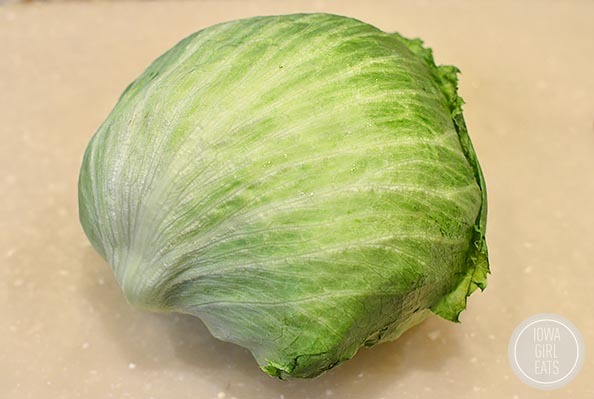 You’ll need lettuce, of course – I chose a big head of iceberg lettuce. You can use whatever kind of lettuce you prefer, but iceberg will give you the biggest leaves in order to wrap up all the goodies inside. Lay one lettuce leaf on a cutting board then add 1 slice deli turkey, followed by a slathering of the Basil-Mayo. I tried putting the mayo down directly on the lettuce leaf but it got soggy pretty quick so the turkey barrier is a very good thing. Next layer on 1 more slice of deli turkey followed by the cooked bacon. This is my turkey of choice, by the way. I don’t buy meat from the deli counter at the grocery store because of cross contamination issues. 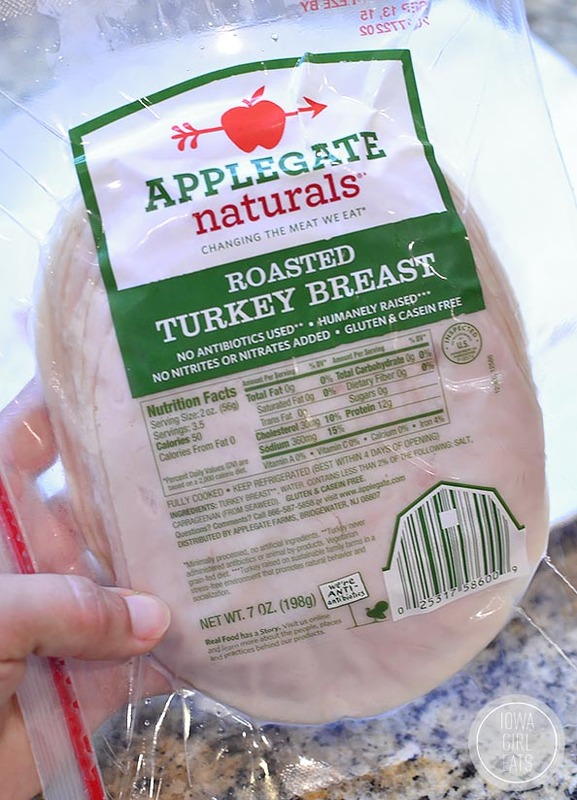 This Applegate Naturals Roasted Turkey Breast is not only gluten-free, but gets two thumbs up from both me and Lincoln in the taste department! Finally, layer on a few thin slices of avocado and Roma tomato, then finish with a crack of salt and pepper on top. 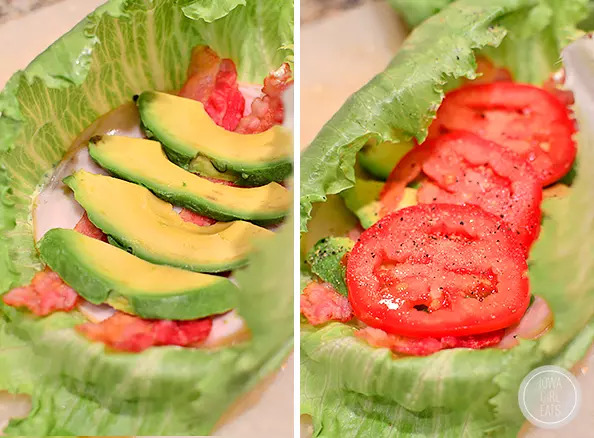 Fold the bottom of the lettuce leaf up, then tuck in the sides and continue rolling like a burrito. Slice in half then eat up! 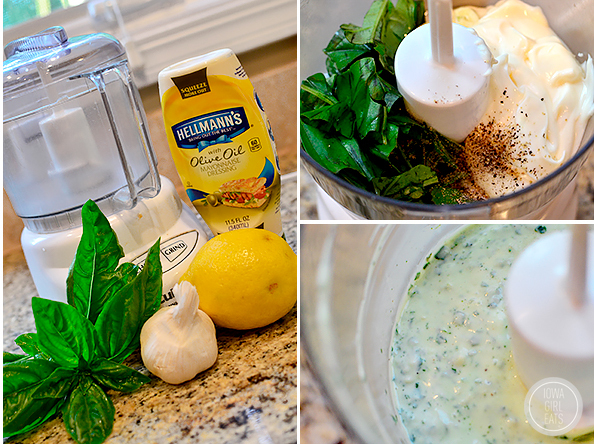 For the Basil-Mayo: combine ingredients in a small food processor then process until smooth. Alternatively, mince basil and garlic then whisk all ingredients together. Can be done a couple days a head of time. 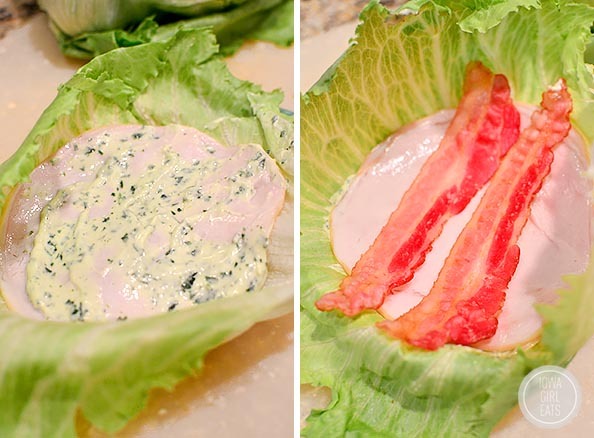 Lay out two large lettuce leaves then layer on 1 slice of turkey and slather with Basil-Mayo. 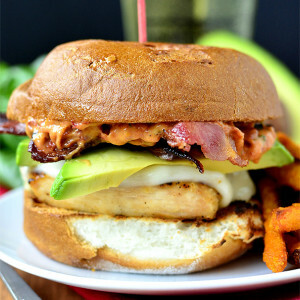 Layer on a second slice of turkey followed by the bacon, and a few slices of both avocado and tomato. Season lightly with salt and pepper then fold the bottom up, the sides in, and roll like a burrito. Slice in half then serve cold. If eating more than an hour after packing, pack elements separately then assemble just before eating. These California Turkey and Bacon Lettuce Wraps are just what I’ve been looking for, for quick lunches and dinners – they’re not only fresh, but filling and satisfying too. Enjoy, and have a great week! What a great post this is!!! 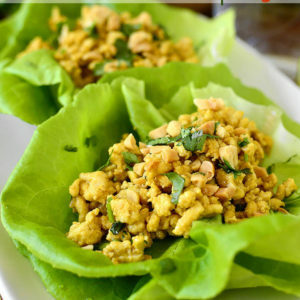 The lettuce wraps look AMAZING to put it mildly! I am a huge fan of anything with bacon (of course) so this is a winner. I am ready to go to the grocery store today so guess what is going to be on my shopping list. I wish I was going to be able to meet you and Cristen at the HyVee event in Mason City but sadly I have already moved from Mason City but you can bet I will be following all the North Iowa Bloggers who will be there “reporting”. 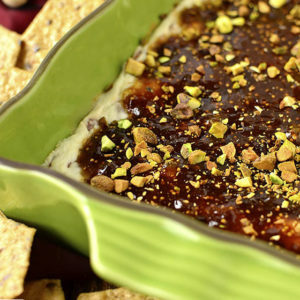 Have fun and thanks for another great recipe. The balloon festival looks so fun! I love the idea of this wrap. I have absolutely no ideas for lunch so this is perfect! I love how the Farmer’s Market in your town looks! Everytime I see it, I always wish my town had a similar one. We have a small Farmer’s Market here, in the summers, but it’s definitely nothing like that. 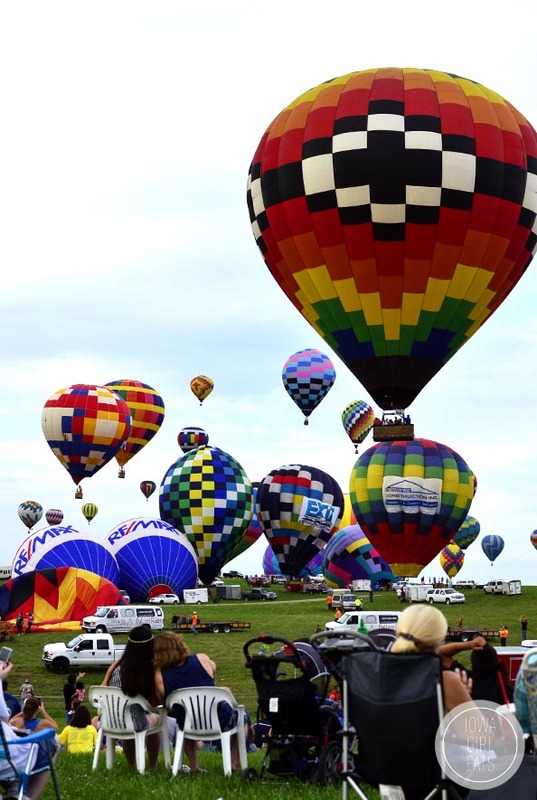 What a fun weekend… hot air balloons are my favorite! 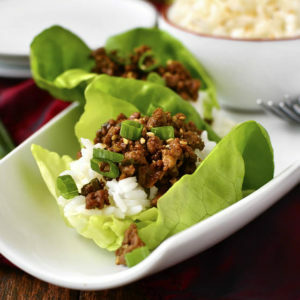 These perfect little lettuce wraps are making my mouth water just thinking about how delicious they are! Pinned! 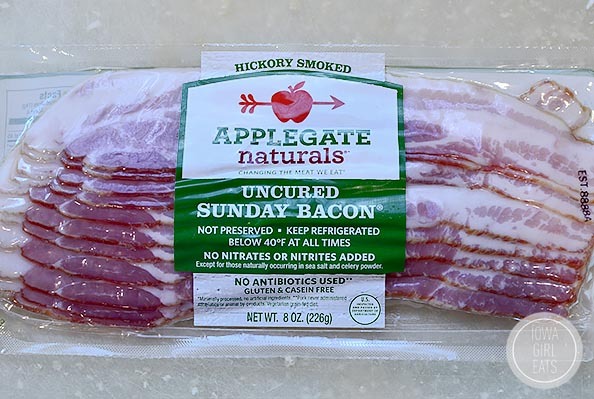 Please tell us where we can buy products by Applegate Farms. Thanks! Hi Gail! I have found them everywhere from HyVee to Trader Joe’s, Whole Foods and Target! The wraps looks so good!! Can I use dry basil? If so, how much? Sure! I’d start with 1 teaspoon then let it sit for 10 minutes, taste then add more if you need it. 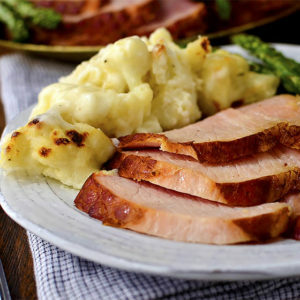 Your recipe looks fantastic – but I noticed your Applegate turkey breast has Carrageenan in it – just sayin ! Hi! I just found you’re blog and love it! 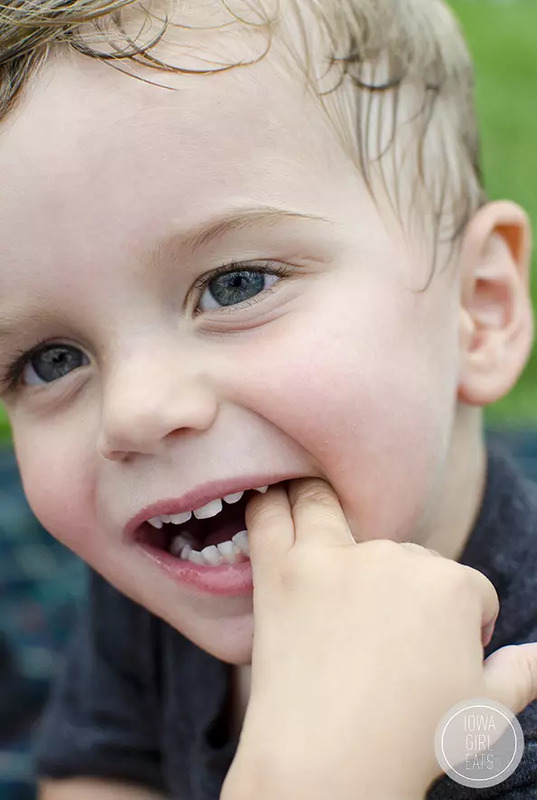 My three year old son was just diagnosed with celiac so going gluten free is still new to us. I was wondering if you have found any good tortillas or hot dog buns that are gf? Thanks, I can’t wait to try some of you’re recipes!!! Oh darnit – I’m so sorry to hear that! :( I usually use GF corn tortillas for enchiladas/cooking but the only regular ones I’ve found for wraps/burritos are by La Tortilla Factory, found right in the regular grocery store. http://www.latortillafactory.com/view/products/gluten-free-wheat-free-wraps/ I wouldn’t eat them “raw” but they’re ok when warmed up for burritos. Try Canyon Creek hot dog buns and bread products, available at Target – they’re the best I’ve found yet. 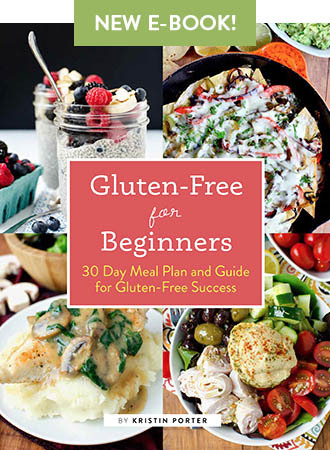 https://canyonglutenfree.com/buy-gluten-free-bread-products/Gluten-Free-Hot-Dog-Buns.html Let me know if you have any other questions, or if I can help in any other ways! 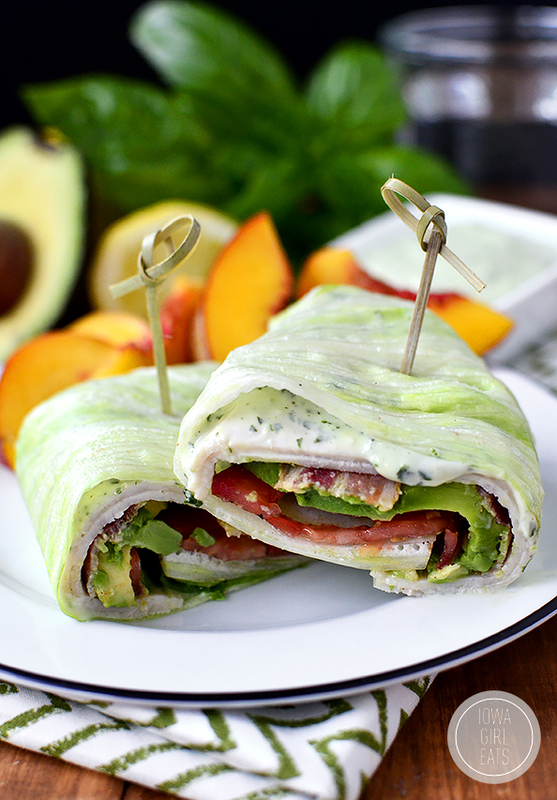 What a lovely post and delicious looking wrap. I’ve never used lettuce in place of tortillas, but you’ve inspired me to give it a try! The pride of Jersey, Gov. Christie(life-long resident, I’m playing, I promise)…I honestly always wonder what people from other states think of him. 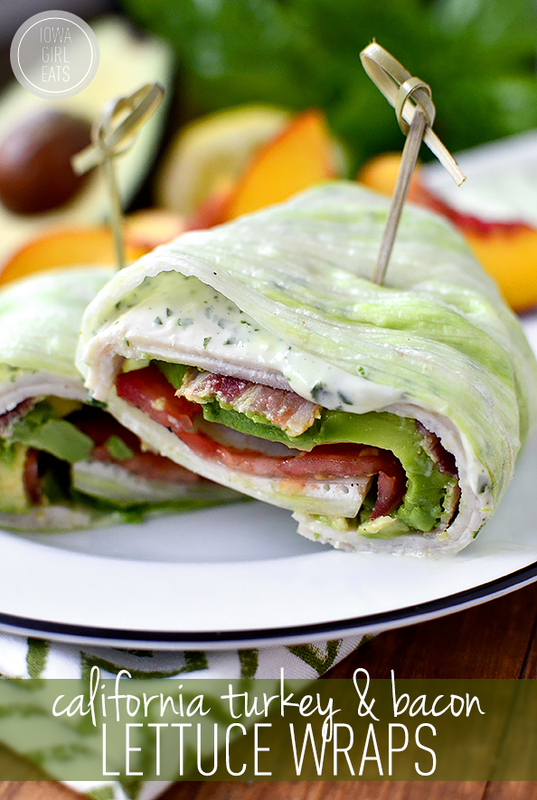 I’m not a bacon eater, but I’d devour every single thing else in this entire wrap in nanosecond. Sounds SO good. looks awesome! love anything with basil especially :) great photos like always! 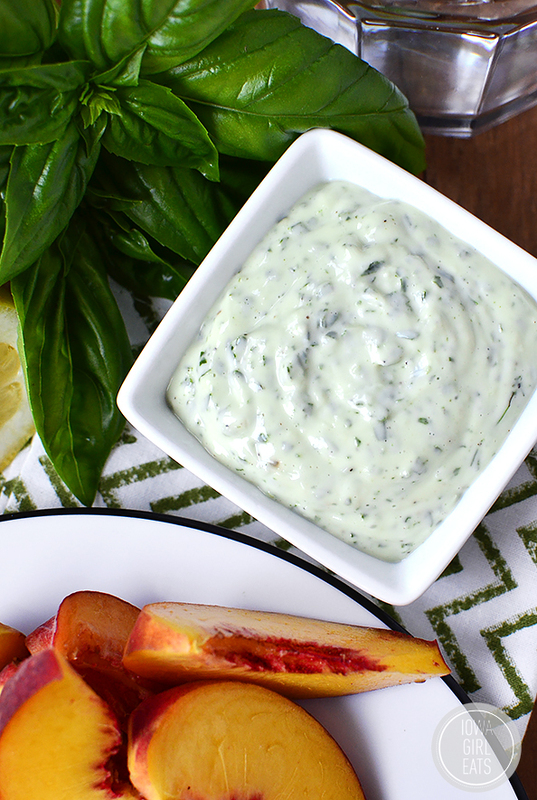 That basil-mayo almost encompasses the idea of summer – fresh basil and a yummy wrap to enjoy outside. Can’t wait to try this on more than just this wrap. Your little man is looking SO grown up!! 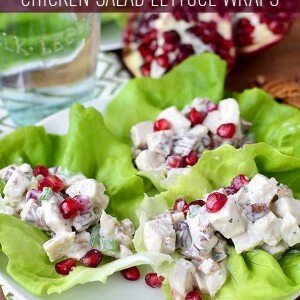 In less depressing news, this recipe was just added to my rotation of wraps! I’m obsessed with stuffing everything into spinach wraps these days but I guess I could skip the wrap with guts as tasty as these. Maybe. 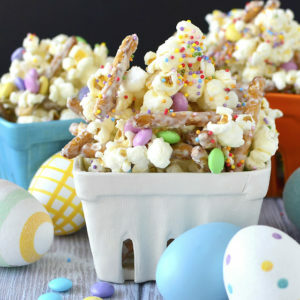 Holy **** those look delicious! These were amazing, just finished eating them for lunch! I’m working on low carb recipes for lunches and these fit perfectly with enough veggies, protein and good fats :) I made them the night before to pack for lunch and they got a little soggy so next time I’ll pack the ingredients and assemble at work. 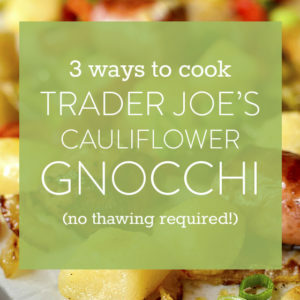 Definitely will add these into my weekly menus! 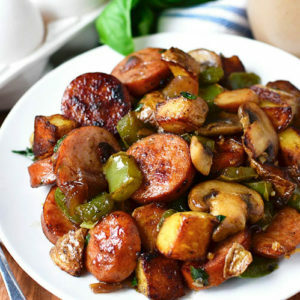 Another great recipe, love your recipes! Now this is a lettuce wrap I can see myself trying! Thanks so much for sharing. 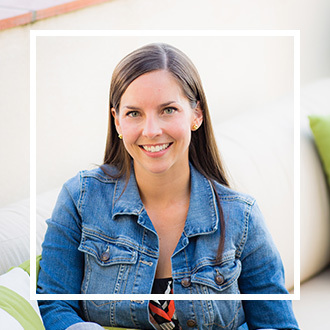 Love your site and fun stories!! 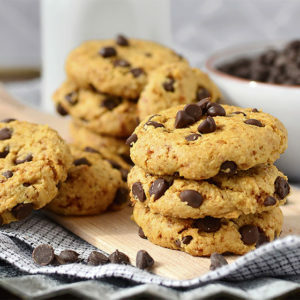 Added these to my meal plan because they looked fairly simple and didn’t require turning on the oven but they far surpassed my expectations! SO GOOD! The basil mayo is so fresh and ties everything together so well. New summer favorite! Just a FYI , Hellmens mayo is not good for anyone. If your health concious look at the ingredients. Hellmens adds high fruitose corn syrup, . That stuff should never be eaten. 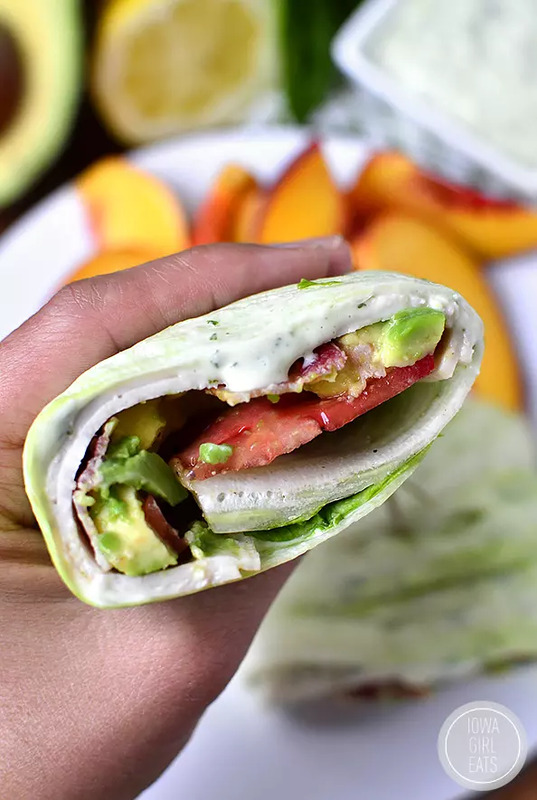 You sabatoge any healthy benefits of the wrap you tried to create by adding that mayo. 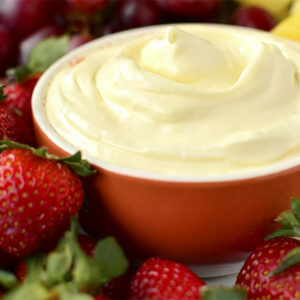 Homemade mayo is super easy to make and literally takes minutes to make, and no sugar added. I love your recipes & blogs. Where are the nutrition values? I have illnesses that require me to chart my Sodium & Carbs for each meal. Would you be able to send me all the nutrition info for the California Turkey & Bacon Lettuce Wraps. Thanks so much! 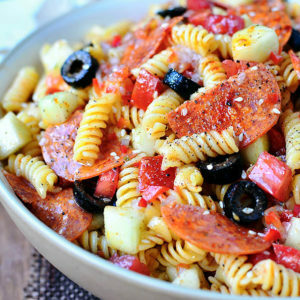 Incredibly delicious! 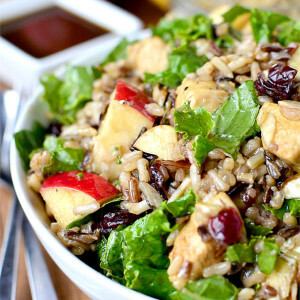 I used green leaf lettuce instead but I realized the benefit of using regular romaine….still INCREDIBLY DELISH!!! !